Always, always have your shopping list that way you only get what you need, no sneaky snacks. Get in and get out, like a special forces ninja your shopping experience should be quick and no messing around because if you in there to long temptation might get the better of you. If you can, shop online that way you’ll be sure to stick to the list and you don’t have to worry about battling for a car park at your local store. Shop at the same store, once you know where everything is you’ll be able to see when the freshest stock comes out instead of the stuff that’s been sitting around (I know because I worked at Coles). If you can’t afford the organic brands go for the free range and keep your eyes open for specials, sometimes the free range and organic items are cheaper than the regular stuff! If you can leave your partner and/or kids at home so you can focus. Know you aisles, if you need to venture into the forbidden zone you want go straight to what you need. Don’t stop and check out the cookies. Put all the food on the bench and sort it into groups, vegies, meat etc and start to visualise what you’re going to eat for the next week so you know how much food you have. 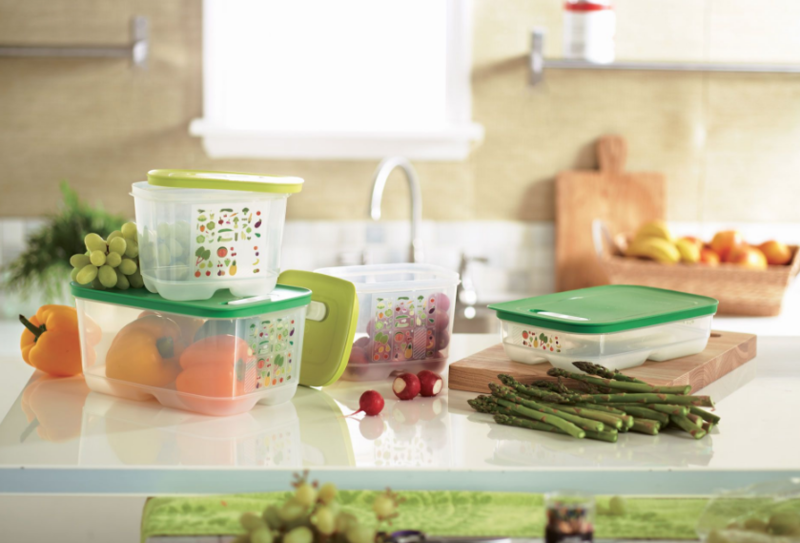 If you have vegetable and meat containers like the Tupperware ones put them into the containers to keep them fresher for longer. Have place in the fridge and pantry for each item so you know what you have and how much is left at anytime.